Q: How do you define happiness? A: The state of being happy. Happiness means different things to different people. Q: What makes people happy? Q: What makes me happy? 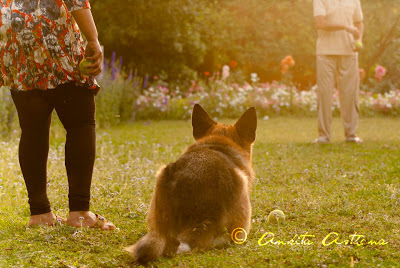 A: I find myself in the state of true happiness when I spend an evening with Ace in the garden at home. When I watch mom and dad together playing ball with Ace, it gives me happiness. Ace has brought a lot of love into our family. He is a healer. The day he became ours, we gained a lot more than just a pet dog.